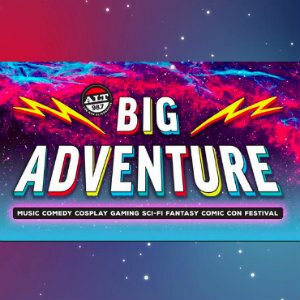 Don’t miss the Big Adventure Fest – Music, Comedy, Cosplay, Gaming, Sci-Fi Fantasy, Comic-Con Festival at the OC Fair and Event Center on Nov. 3 – 4 from noon-10 p.m. The show features a live stage with Empire of the Sun, Modest Mouse, Phantogram, Cold War Kids, Echos, Nvdes, Allie X, and Party Nails. The comedy stage includes acts from Patton Oswalt, Jim Jefferies, Baron Vaughn, Emo Philips, Hari Knodabolu, Kristen Schaal, Maria Bamford, Natasha Leggero, Rhys Darby, Ron Funches – hosted by April Richardson & Marcella Arguello. The dance stage includes Bonnie X Clyde, Bro Safari, Chime, Ducky, Feed Me, Luca Lush, Nitti Gritti, Party Thieves, Rusko, and What So Not. Also featuring celebrity guests and panels, live podcasts, cosplay, comic book creators, comic-con exhibitors, video gaming, tabletop gaming and more. Tickets cost $69.50 weekend general admission pass (plus $15.50 fee). Single day and VIP passes also available. Parking is $10.